Rave The Los Angeles Review of Books One of the more difficult dimensions of reading Mean is the sense one gets of a life spoiled, damaged, likely beyond recovery. The loss is poignant ... Language becomes the artful manner through which Gurba can articulate the particularity of her experience while connecting it to the abuse that others, like Sophia, have suffered ... In Gurba’s hands, the interruption of straight chronology serves more than just rhetorical or dramatic effect; it foregrounds the burdens of memory on the body ... 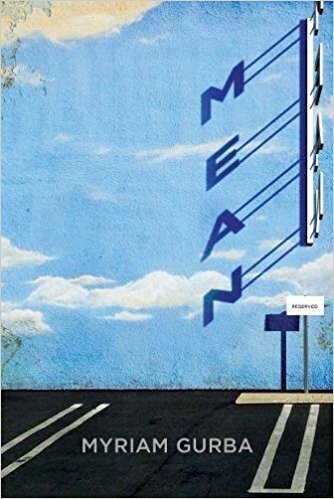 Mean demands our attention not only as a painfully timely story, but also as an artful memoir ... Mean is a powerful, vital book about damage and the ghostly afterlives of abuse. 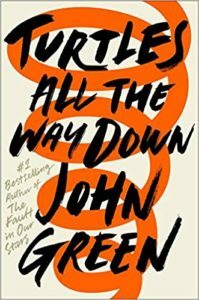 Pan The Los Angeles Review of Books Turtles All the Way Down (spoiler alert) doesn’t promise or offer much of a happy ending. Our heroes won’t find love, and there’s no suggestion that Aza will ever escape her anxiety disorder. Green is to be commended for keeping our eyes on the tough stuff … What bothers me about the story, however, is less what we are asked to focus on and more the distance Green maintains between his key themes … What is ultimately missing in Turtles All the Way Down is a clearer recognition of the proximity of the novel’s themes, particularly Aza’s phantasmal anxieties and the very real economic circumstances that at times peek around the corners … Turtles All the Way Down moves toward a mystified acceptance of things as they are — a move made all too clear in Green’s explanation of the book’s title.